Upon graduating from Pittsburgh Seminary in 2008, Michael C. Gehrling was appointed to the staff of InterVarsity Christian Fellowship’s Graduate Student and Faculty Ministry and assigned to the campuses of Carnegie Mellon University and the University of Pittsburgh. In the fall of that same year, he was ordained as co-organizing pastor of the Upper Room New Church Development, located in Pittsburgh’s largely Jewish neighborhood of Squirrel Hill. Thus, with a strong background in music and theater, he embarked upon a dual career in ministry. He helps new communities get started and be in conversation with presbyteries and congregations on how they can provide financial, material, and spiritual support to these new efforts. When Michael and fellow alum Chris Brown ’08 started Upper Room, they did so intent on ministering multi-ethnically and cross-culturally. Earlier, Michael had worked in a cross-cultural setting as the English-speaking pastor at a Korean congregation. His role with InterVarsity put him in close and consistent contact with the large, international university population in nearby Oakland, Pa. In 2015 Michael accepted a new role with InterVarsity as the organization’s first national director for International Graduate Student and Faculty Ministry. He continued serving as pastor at Upper Room while also providing vision, leadership, resources, and partnership to InterVarsity’s staff across the country for better reaching and serving international graduate students and faculty with the gospel. Michael’s passion for connecting church and culture, his commitment to starting new worshiping communities, and his heart for discipleship led to his hiring in 2017 as Northeast Region associate for the PC (U.S.A.)’s 1001 New Worshiping Communities initiative. Now as the primary contact between the 1001 initiative and new worshiping communities, congregations, and mid-councils in the northeastern United States (which, though the smallest geographic area, has the most new worshiping communities and great potential for immigrant groups), he helps new communities get started and be in conversation with presbyteries and congregations on how they can provide financial, material, and spiritual support to these new efforts. Michael is also in charge of the initiative’s programmatic area for assessments, wherein prospective candidates are invited to discern their calling to missional leadership and explore the gifts and challenges they bring to potential communities. 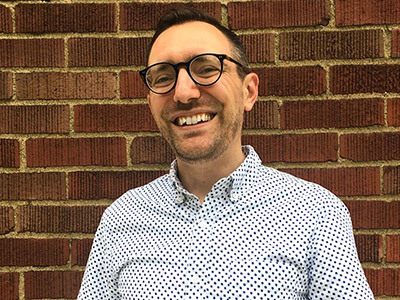 In recognition of his work with church planting and new worshiping communications, Michael is the Seminary's 2018 recipient of The Fred McFeely Rogers Award for Creative Ministry, an honor he'll receive later this month during Alumnae/i Days. Learn more about the Seminary's Graduate Certificate in Church Planting and Revitalization or the Master of Divinity with Church Planting Emphasis. Listen to Michael's sermon during Alumnae/i Days.